The exhibition is being held throughout the week of the Whitstable Oyster Festival. 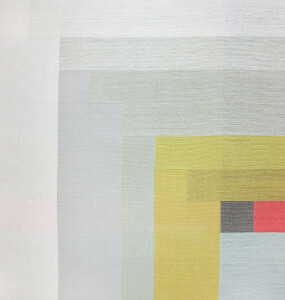 The exhibition will be showcasing Margo Selby’s latest hand-woven pieces. 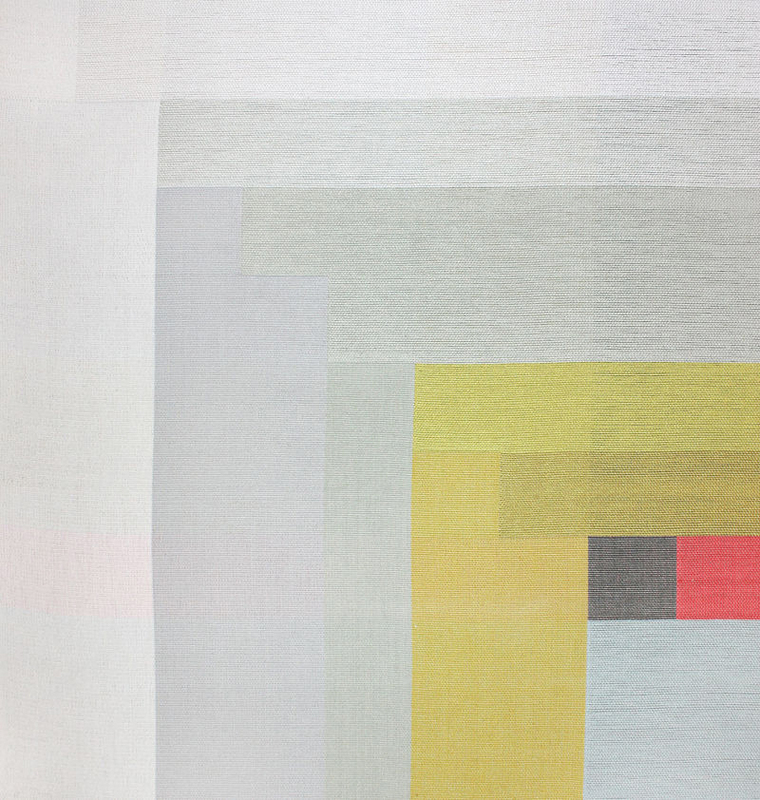 Also on show will be some of their latest jacket and rug designs. The work of guest artist Tracie Peisley will also be on view. 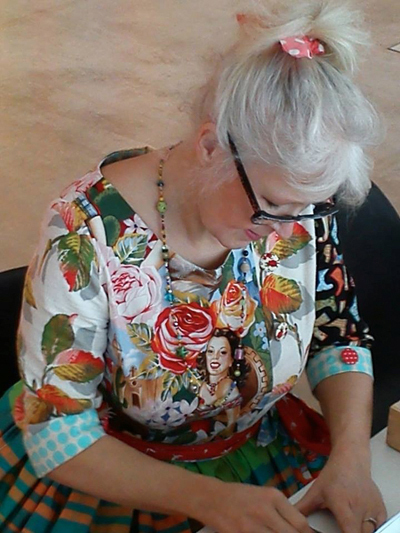 Tracie has applied 30 years of fine art practice to making couture dresses, jackets and shirts. 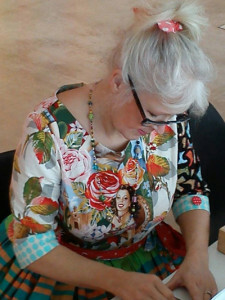 Describing them as ‘floral armour’, she collages a vibrant combination of vintage and designer fabrics to create art wear. The private view drinks evening will be held in the exhibition space from 6pm-9pm on Wednesday 30th July. All visitors are welcome. This entry was posted on Friday, July 25th, 2014 at 3:27 pm	and is filed under Events, Exhibitions, General, New weave developments. You can follow any comments to this entry through the RSS 2.0 feed. You can leave a comment, or trackback.